There’s quite a bit that goes into being a homeowner. Alongside the satisfaction of finally owning your own place, you have more responsibility than ever. One of the biggest tasks is performing, and then following up on, regular maintenance. Your roof falls into this category, of course. If you don’t care for it properly, your home won’t get the internal and external protection that it needs. There will come a time for just about every homeowner when you have to decide whether you need to repair or replace your roof. While it’s a part of routine maintenance, taking care of your roof can be costly and time-consuming. You’re probably wondering when it’s best to fix things up and when an overhaul is required. At JOI, we get this question often from our customers. While just about every situation is different, if you can be on the lookout for the following telltale signs you’ll be ahead of the game. Whether you end up repairing or replacing, you’ll need to know what you’re dealing with first. Of course, many homeowners would rather repair than replace. It’s less expensive and less of a commitment. But you need to make sure you’re really looking at a problem that can be solved with a repair. Getting the repair done can help you avoid bigger problems down the road like damaged internal materials. If performed correctly, you can extend the life of your roof. Just remember, depending on the underlying issues, you may have to get another repair sooner than you’d like and a replacement could be imminent. At some point, repair jobs wind up being like a bandage over major wound. It covers up the problem but does nothing to heal it. Don’t forget to consider the weather patterns in our area. A major storm or hurricane could undo those repairs fast and cost you more money. If you’re looking at significant damage, a replacement may a better, long-term choice. A roof replacement is an investment in your home. After all that hard work, you’ll not only have a healthy roof but also a more attractive and valuable home. It’s tempting to want to put off repairing or replacing your roof. Most of us would rather put that money towards a remodel or vacation. But the truth is, your house’s integrity, value and structure can all be lost if you never fix your roof or skimp on the job. 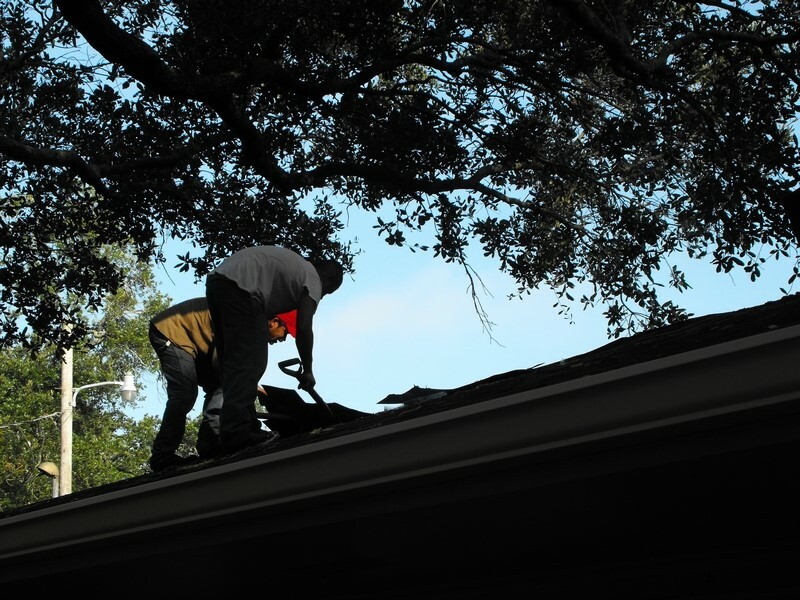 After a bad storm, you may find yourself with more than a damaged roof. The inside of your home could be harmed as well. You may even lose the ability to file a claim with your insurance company if you wait too long. Structural and water damage, leaks and mold are enough to give any homeowner nightmares. Of course, it will take the experts to evaluate and address any problems with your roof. Put this invaluable part of your home in good hands with Juneau Odenwald Roofing, Inc. We’ve brought roofs back to life for Louisiana homeowners since 1996. To discuss your roofing needs and get a free estimate, contact Juneau Odenwald Roofing today at 504-733-0331.